This secret monster rears it’s ugly head when we least expect it. I’m not the first Christian to have struggled with anxiety and I certainly won’t be the last. 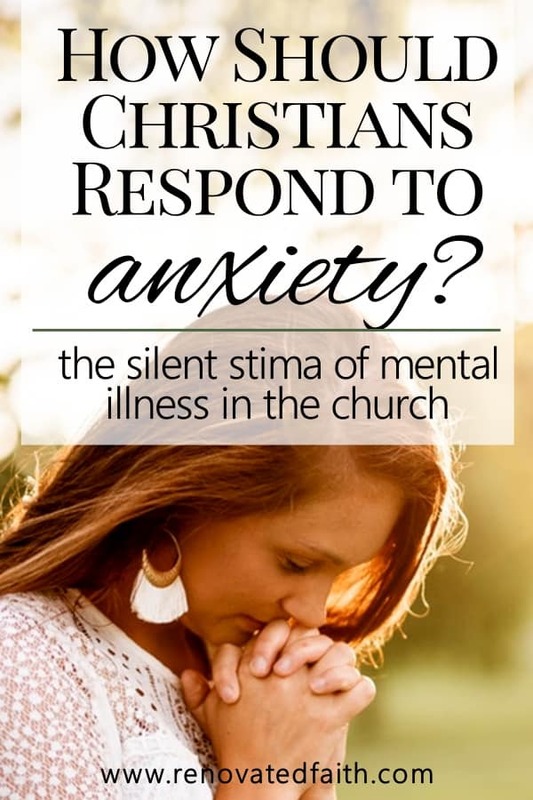 Yet, there is such a negative stigma within the church about anxiety and depression. So many struggle with anxiety but only repress their fears because they feel shame or guilt. Here I hope to articulate what anxiety is, who it affects and how to find biblical anxiety relief. 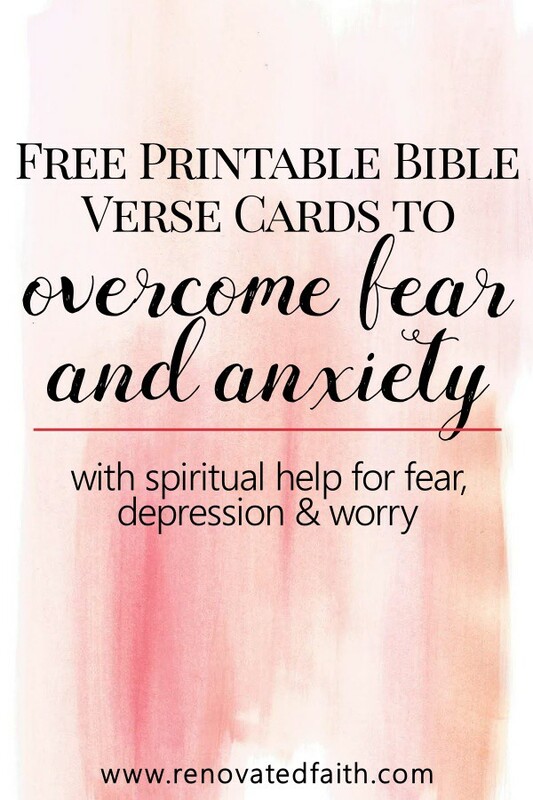 Free Scripture Cards: You can find my printable Bible verse cards for fear anxiety and depression by clicking here if you are new to Renovated Faith. If you are already subscribed to the weekly email list, go here and enter the password from the bottom of your last email. Five years ago I went through a series of difficult circumstances, compounded with a difficult surgery and recovery. As a result, I went through a horrible experience with anxiety to the point that my heart would race and I had terrible insomnia. Experiencing these physical side effects made me realize that it was time I fully dealt with this all-consuming emotion. My usual coping mechanisms of distraction and repression were only making matters worse. Without a doubt there is a mental health stigma in the church. 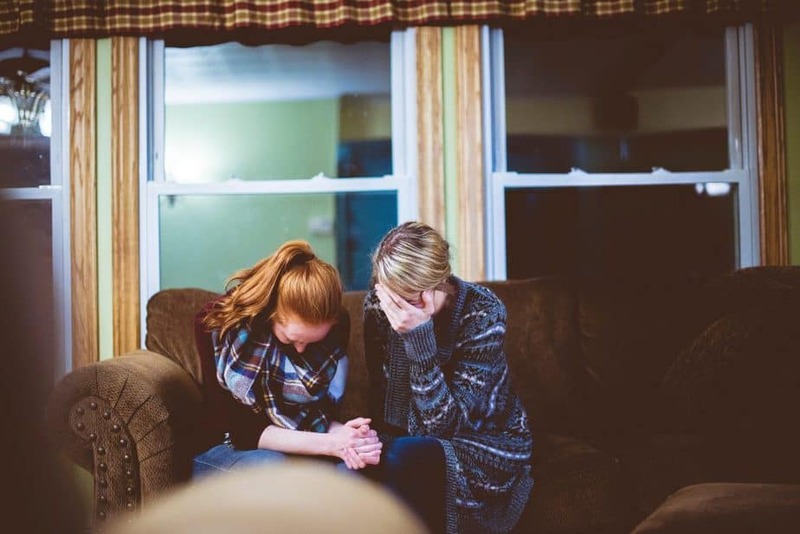 Within the Christian realm, anxiety and depression are often not discussed, however, they are one of the most prevalent struggles for Christians today. 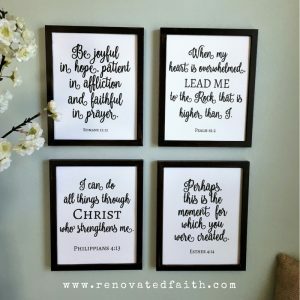 Not that long ago, I sat around my Bible study group of several strong, seemingly unshakable women and shared about my past issues with worry and anxiety. 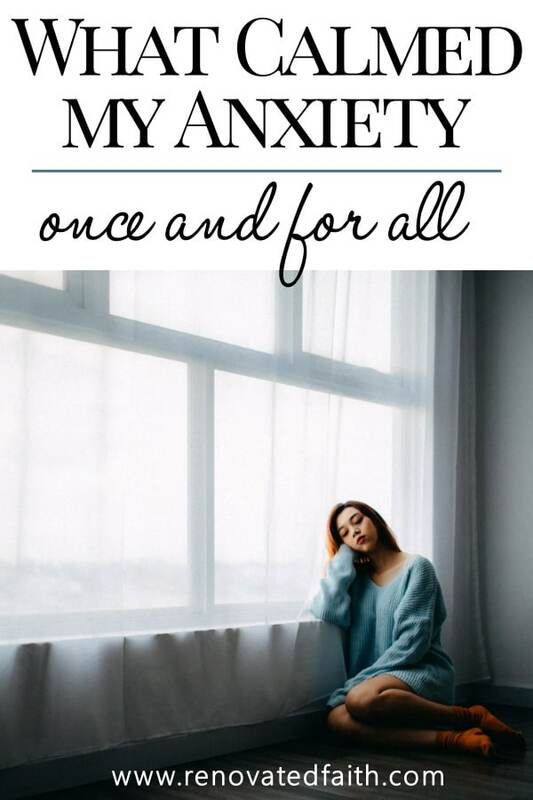 To my dismay, over half the women in the group admitted to having major struggles with anxiety and most of those women had experienced anxiety attacks. If you struggle with anxiety, know that you are not alone. Often we look at “worry” as something we just all do. It is assumed that every good mother worries. However, the Bible clearly states “Do NOT worry”. In other words, “worry is a non-option”. Unfortunately, it’s not always that easy and when we downplay this struggle, it easily spirals out of control. We all deal with stress but stress left unchecked can develop into an anxiety disorder or depression. Symptoms can including prolonged feelings of fear, sore muscles, headaches, insomnia, racing heartbeat and stomach issues, just to name a few. At the very least, it will rob you from the blessings God wants you to enjoy and a steady mindset that allows you to be open to the God-given opportunities around you. When you allow stress and worry to go unchecked, it will inevitably snowball into something much worse. Blake Jennings, one of our teaching pastor’s at church did an outstanding sermon series on depression and anxiety. He was very brave to include details of his personal struggle with depression. He explained that in dealing with anxiety or depression, they are each a spiritual AND physical issue. Therefore, you should seek spiritual and physical help. There is absolutely no shame seeking help from a medical doctor and he details his thoughts on antidepressants in the links below. These are two of the best sermons I have ever heard and you won’t regret taking the time to listen. Researchers have found that when we have a thought, it makes a neurological connection in our brain. When we think the same thought over and over again, the connection becomes deeper much like a trench that is widened with every swipe of a bulldozer. With every repetition of the same thought, that neurological connection is stronger, especially if the thought is connected to an emotion. Therefore, problems arise when the thought is associated with fear or anxiety. When we worry, we think the same anxious thought over and over and the trench is made ever deeper in our brain. With each repeating thought, the fear becomes more consuming as this thought is more prevalent and easily accessed. Before we know it, a small worry can snowball into tremendous fear as this connection is already augmented in our brain. This is why worry can be so difficult to overcome and why a very small (almost undetectable) thought can result in a panic attack. Therefore, small worries can quickly become overwhelming if this process isn’t stopped and reversed. To remedy this problem, psychologists suggest to think a positive thought every time the initial worry comes to mind. This will work eventually but you have to have a positive thought for every negative thought to undo this neurological connection and “backfill the trench” completely. For professional worriers like myself, this could take a while. However, God gave us a much more powerful short cut! When we confront fearful thoughts with God’s Word on a regular basis, it refills this trench much more quickly and completely than mere positive thinking. If positive thinking alone is a wheelbarrow, think of God’s Word as a backhoe that has exponential power over refilling our negative thought processes. Before we know it, our negative thought pathways are completely filled with the truth of God’s Word, making room for His peace. “We demolish arguments and every pretension that sets itself up against the knowledge of God, and we take captive every thought to make it obedient to Christ.” (2 Corinthian 10:5) Isn’t it amazing that through God’s Word we take captive every anxious thought and make it obedient to Him? We don’t just harness our worries, but God completely transforms our anxious thoughts into thoughts that honor Him. Psalm 34:4 – I sought the Lord and he answered me and delivered me from all my fears. 2 Timothy 1:7- For God gave us a spirit not of fear, but of power and love and self-control. Phil. 4:6-7 – Do not be anxious about anything, but in everything by prayer and supplication with thanksgiving let your requests be made known to God. And the peace of God, which surpasses all understanding, will guard your hearts and your minds in Christ Jesus. Jeremiah 29:11- For I know the plans I have for you, declares the Lord, plans for wholeness and not for evil, to give you a future and a hope. 1 Thes. 5:18 – Give thanks in all circumstances; for this is the will of God in Christ Jesus for you. 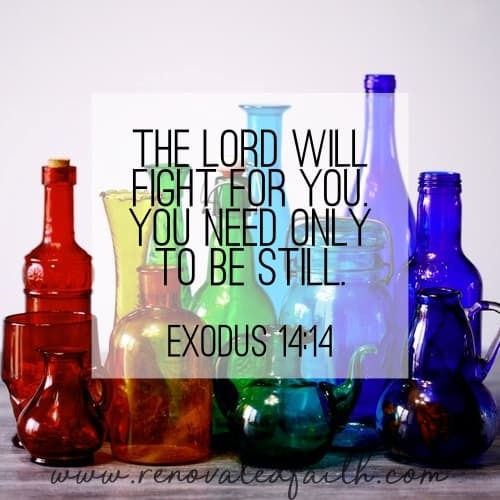 Exodus 14:14 – The Lord your God will fight for you, you need only to be still. For a free printable version of the verses above, click here to download your free Bible Verse Cards. Just print them on card stock and cut them out so you can keep them with you. The verse that made the biggest impact in dealing with anxiety was Exodus 14:14, “The Lord your God will fight for you, you need only to be still. It made me realize that my only job was to sit at His feet and seek Him – that He would fight the battle for me. I prayed this verse over and over to help take control of my thoughts. In the same way, this is not your battle and it is too big for you to handle on your own but He wants to carry you and fight FOR you! To learn more about how to rest in God, read my post Why You Struggle To Rest and What To Do About It. If you are struggling with depression, anxiety or both, here is your next step. Listen to the sermon I mentioned above. I promise you won’t regret it. Then, you need to tell someone about how you are struggling! Please know that you are not alone. Feel free to email me so I can pray for you at [email protected]. Again, there is no shame in talking to a counselor, pastor or medical expert. Often it is the bravest choice a person can make! Did you find this post helpful? Be sure to share it with others. Have a wonderful week! This is such a hot topic that needs to be addressed and you did it so gracefully. I have struggled with anxiety in the past and it was the most frustrating to talk about with some Christians because of the things they’d say. I love this so much! This is a great post Karen! I’m a Christian mental health therapist and unfortunately I’v e had many clients talk about how hard it was to make an appointment because they thought it meant they were a “bad” Christian. I spoke on this topic at my church just a couple of weeks ago.